METEOR BIKE GLOVES SLIM 101 Product not available in retail sales. Please register to see the wholesale prices. METEOR BIKE GLOVES GEL GXQ 160 Product not available in retail sales. Please register to see the wholesale prices. METEOR BIKE GLOVES GEL GX130 JUNIOR Product not available in retail sales. Please register to see the wholesale prices. METEOR BIKE GLOVES GEL GXQ 110 Product not available in retail sales. Please register to see the wholesale prices. METEOR BIKE GLOVES FLOW 30 Product not available in retail sales. Please register to see the wholesale prices. 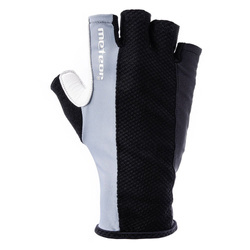 METEOR BIKE GLOVES FLOW 30 JUNIOR Product not available in retail sales. Please register to see the wholesale prices. METEOR BIKE GLOVES FLOW 21 Product not available in retail sales. Please register to see the wholesale prices. METEOR BIKE GLOVES FLOW 21 JUNIOR Product not available in retail sales. Please register to see the wholesale prices. METEOR BIKE GLOVES FLOW 20 JUNIOR Product not available in retail sales. Please register to see the wholesale prices. METEOR BIKE GLOVES TOP TX13 Product not available in retail sales. Please register to see the wholesale prices. METEOR BIKE GLOVES TOP TX13 JUNIOR Product not available in retail sales. Please register to see the wholesale prices. METEOR BIKE GLOVES TOP TX12 JUNIOR Product not available in retail sales. Please register to see the wholesale prices. METEOR BIKE GLOVES SLIM 100 Product not available in retail sales. Please register to see the wholesale prices. METEOR BIKE GLOVES GEL GXQ 180 Product not available in retail sales. Please register to see the wholesale prices. METEOR BIKE GLOVES GEL GXQ 140 Product not available in retail sales. Please register to see the wholesale prices. METEOR BIKE GLOVES GEL GX130 Product not available in retail sales. Please register to see the wholesale prices. METEOR BIKE GLOVES GEL GX100 Product not available in retail sales. Please register to see the wholesale prices. METEOR BIKE GLOVES FLOW 20 Product not available in retail sales. Please register to see the wholesale prices. METEOR BIKE GLOVES TOP TX12 Product not available in retail sales. Please register to see the wholesale prices. BIKE SADDLE BAG FIST Product not available in retail sales. Please register to see the wholesale prices.